Newsweek, quoting unidentified legal sources close to the presidential transition team, reported Tuesday that Obama offered Eric Holder the job and he accepted. President-elect Barack Obama's aides have privately asked senators whether Washington attorney Eric Holder would be confirmed as the next attorney general, according to a person involved in the talks. 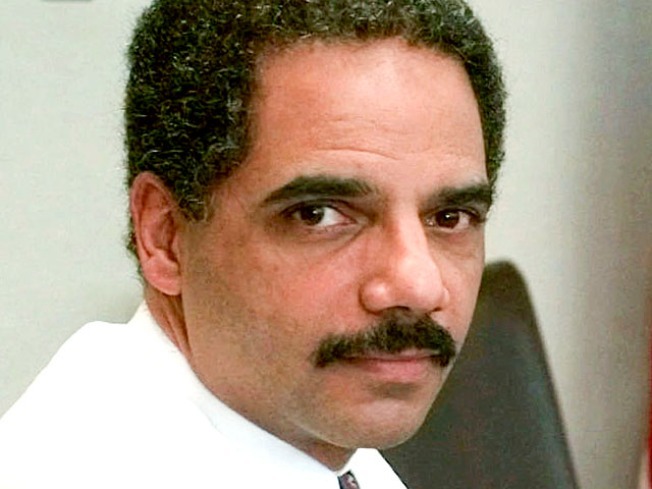 Holder, who served as the No. 2 official in the Justice Department under President Bill Clinton, accepted the offer last week, sources told NBC News, but it is essentially a conditional acceptance as advocates for Obama and Holder want to see how Capitol Hill would react and spare Holder a difficult confirmation process. A former U.S. attorney, Holder is among Washington's most prominent defense attorneys. He would be the first black attorney general in U.S. history. In the past week, Obama aides have asked Senate Republicans whether they would support Holder. In particular, the aides questioned whether Holder's confirmation would be delayed because of his involvement in the 2001 pardon of fugitive Marc Rich by Clinton. Newsweek, quoting unidentified legal sources close to the presidential transition team, reported Tuesday that Obama offered Holder the job and he accepted. Newsweek said Holder still has to undergo a formal "vetting" review by the Obama transition team before the selection is final. One person involved in the talks told The Associated Press that the Obama team has received some assurances that, while the Rich pardon would certainly come up during hearings, the nomination likely wouldn't be held up over that. The person spoke on condition of anonymity to describe the private conversations. On the last day of Clinton's term, Holder was asked whether the president should pardon Rich, a wealthy commodities dealer who had been spent years running from tax charges. Holder said he was "neutral, leaning towards favorable" on the pardon. Clinton later cited that as among the factors that persuaded him to issue the pardon. Holder has held three jobs over his career that required U.S. Senate confirmation and he has yet to see a recorded vote against him, according to NBC News. In September 1993 he was confirmed by the U.S. Senate by voice vote for the job of attorney for D.C.
Holder is a former superior court judge and U.S. attorney in Washington and a former prosecutor in the Public Integrity section of the Justice Department. He was deputy attorney general under Janet Reno, during which he was well regarded, according to NBC News' Pete Williams. At one point, he strongly considered running for mayor of Washington but decided being the No. 2 official at Justice was too good to pass up.